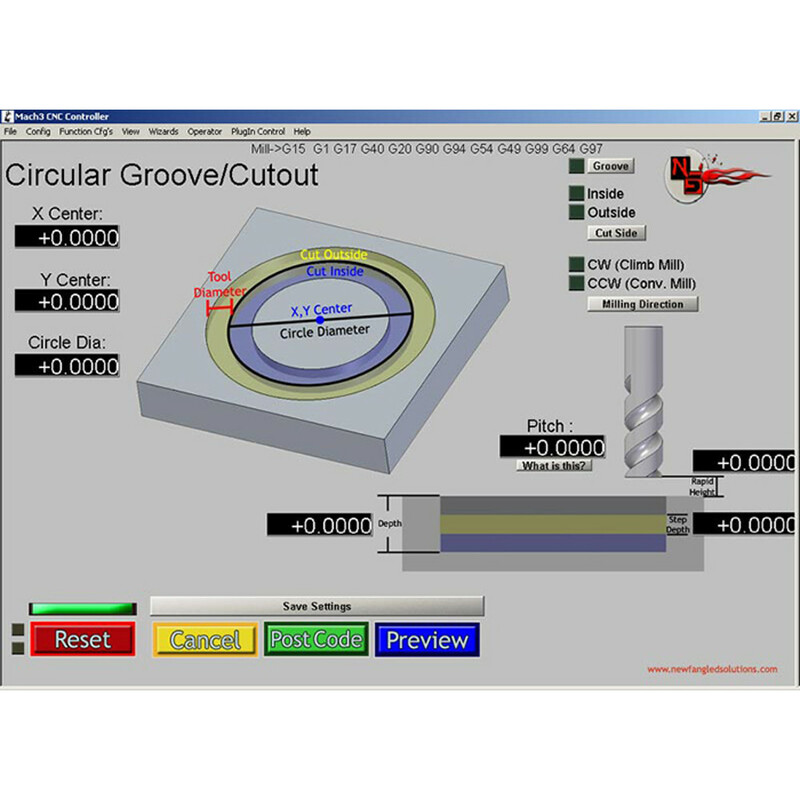 The Mach3 Addons are a collection of tools to generate G-code for making parts easier. 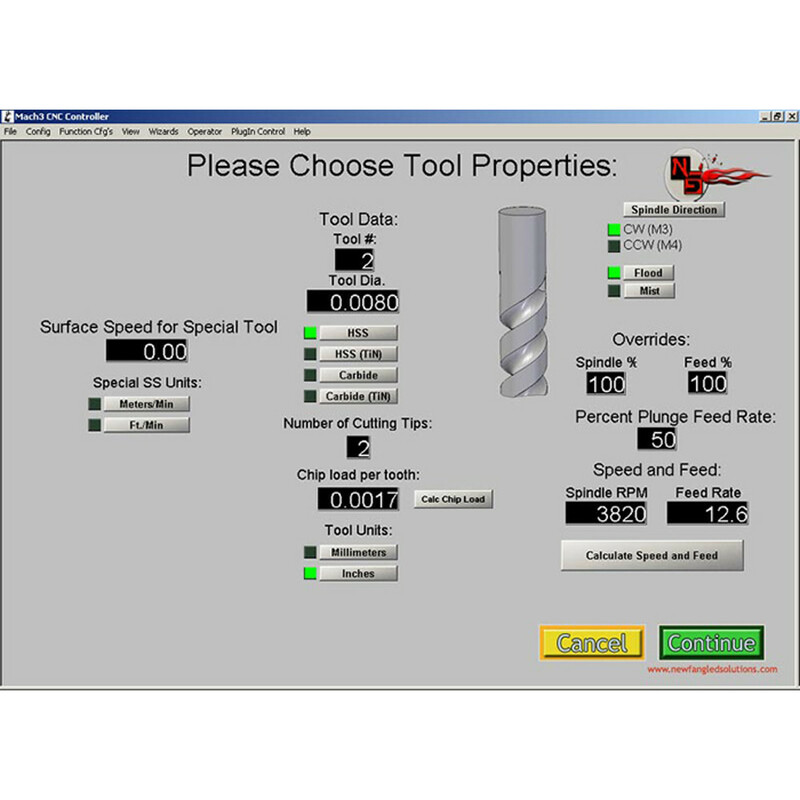 This collection makes surfacing, cutting circles, squares, and drilling patterns, etc. much easier for a typical user. 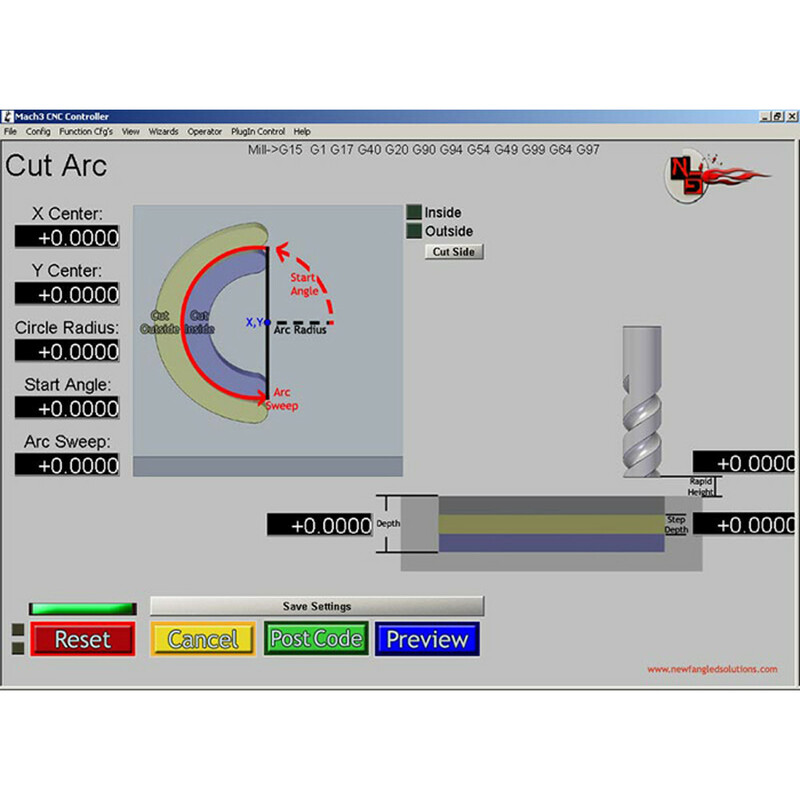 The Addons are integrated into Mach3 through the wizard feature, giving those running a machine the ability to quickly complete a task without needing Advanced G-code knowledge. 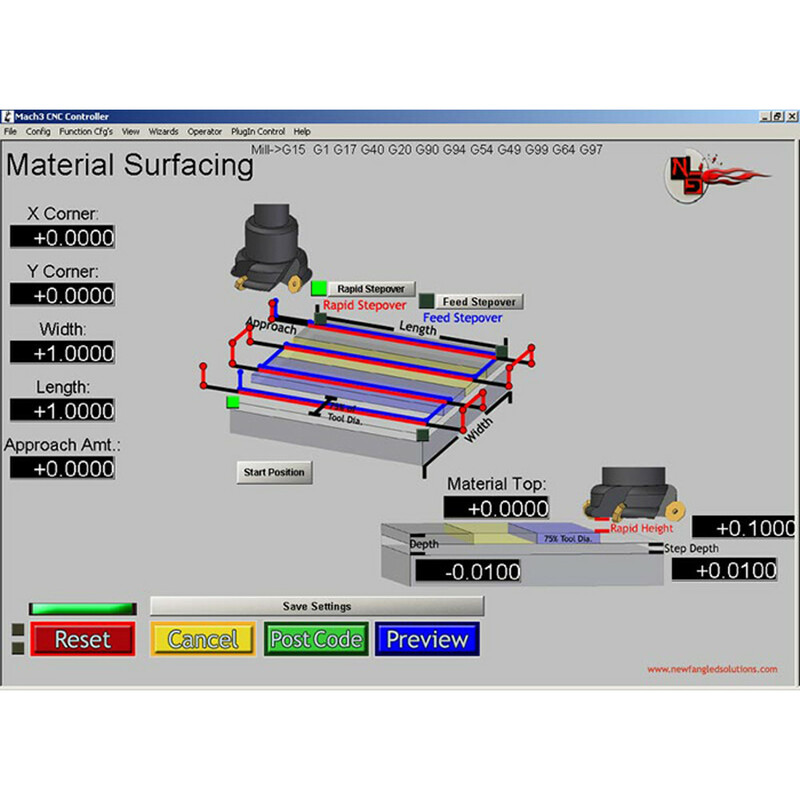 Simply click the options, describing the measurements of a feature, and the appropriate G-code is created to make the cuts. A collection of tools to generate G-Code for making parts easier. Operations: Cut Arc, Cut Circle, Cut Keyway, Surface Material, Thread Milling, Circular Hole Pattern, Linear Hole Pattern, Rectangular Hole Pattern, Circular Pocket, Rectangular Pocket, Electrical Shapes, Cut Gear, Cut Spline, and Cut Rectangle. The Mach3 Addons are a great way to extend the capability of Mach3 and take advantage of the wizard feature without writing your own wizards for doing some of the most common operations. 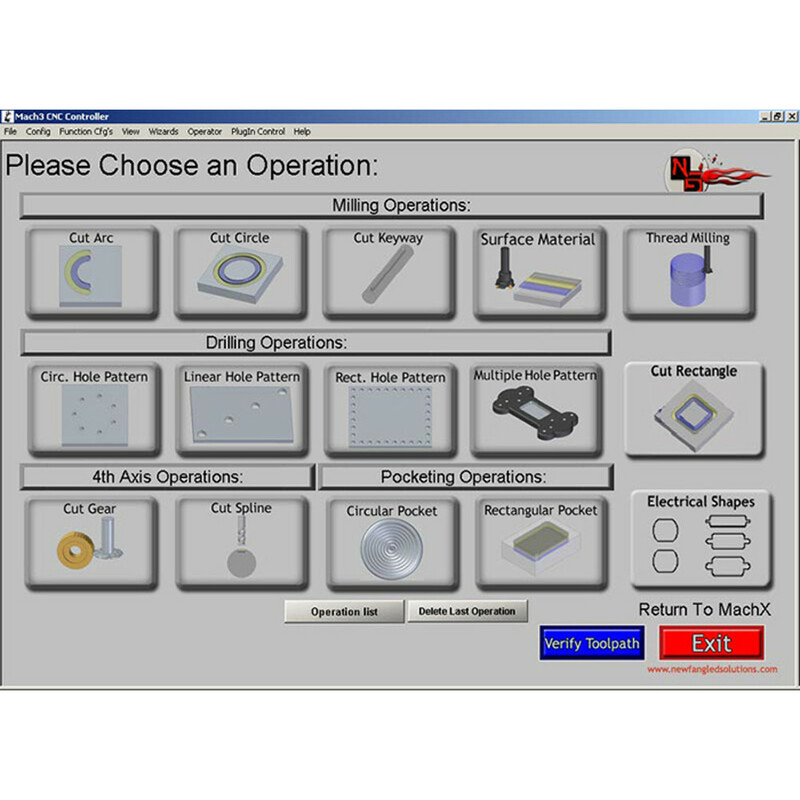 This package is great for doing a single operation or stringing together a few operations to create a basic part. 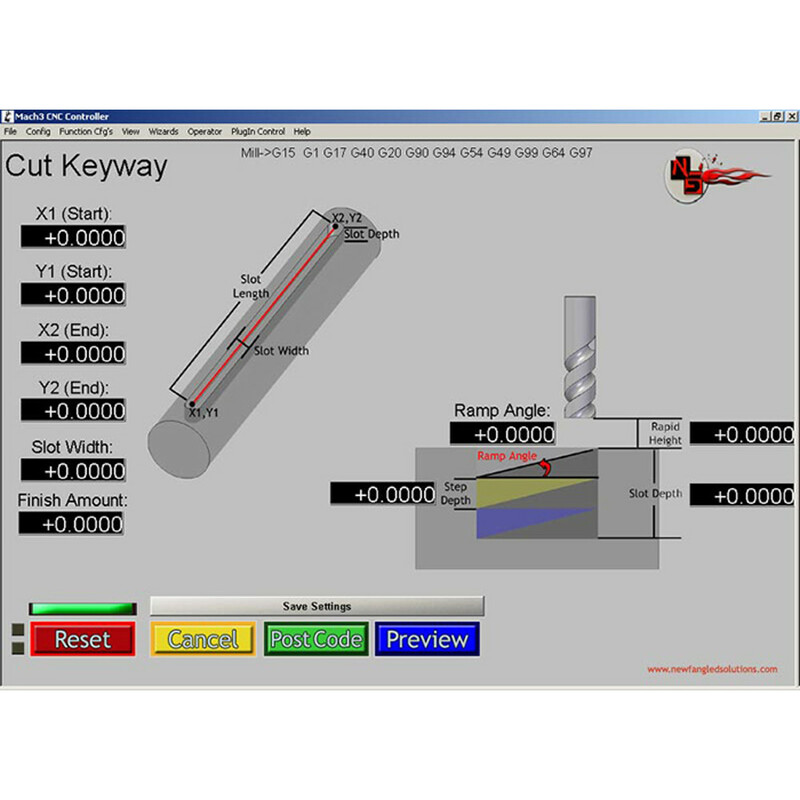 For more advanced operations such as stringing together many operations in a sequence, with the ability to edit, save, and re-order the operation steps, take a look at the Mill Wizard. Please download the full version of the Mach3 Addons software and give it a try before buying a license. We are sure you will find it useful and a great value. Come back and purchase a license for the software, once you are satisfied it will work for your needs. The license code will unlock features, limits, or time restrictions. Please don’t buy a license until you have tried the software and are 100% satisfied. Demonstration versions which allow you to test the Addons and generate tool paths are included in the default Mach3 installation. They will not, however, generate a final G-code file. License this product to create the G-code and use the Addons with Mach3. The Mach3 Addons require a licensed copy of Mach3 release 1.0 or greater in order to function properly. The Mach3 Addons license enables several different components: CopyCat, Multi Pass, PowerFeed XY, the Mach3 Addons for Mill, and the NFSTurn wizards, which are a solution for using Mach3’s wizard capability to simplify the creation of G-Code files. All of these packages will minimize the time it takes to go from “start to part”. The Minimum Requirements for the Mach3 Addons are identical to those of Mach3. When updates are available, they will be included in the Mach3 program updates. The minimum system requirements are also identical to those of Mach3. *Please see the Mach3 program details for more information as this product is an add-on.